Join us as we take you on a fast spin with great food and awesome cocktails. We aim to create a unique dining experience with a great atmosphere, in great surroundings to a backdrop of the best cutting edge music. Headed by Marilo Alarcón, our team of kitchen wizards prepare only the best cuisine sourcing the finest local product for honest wholesome food served up simple and tasty. The interior is industrial style design with reclaimed demolition bricks and retro launderette features, whilst the outside terrace is perfectly designed so guests can sit back and enjoy long cocktail fueled evenings at sundown. 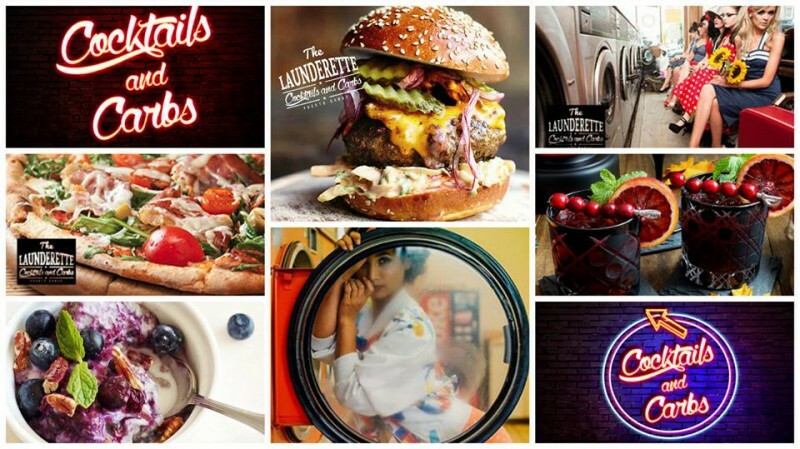 At The Launderette, we have carefully selected the best cutting edge beach club tunes to put you in the mood for fun filled evenings. Our weird and wonderful cocktails are an event of their own featuring popcorn, candyfloss, and toasted marshmallows to name but a few, presented in all kinds of fun and funky vessels. We promise to give you the time of your life every time you visit. Join us for breakfast and the perfect morning after cure, a long lazy lunch or a fun filled dinner before a night on the town... our passion is your enjoyment! The number one venue for relaxed dining with fab food, freaky cocktails, and funky music… Join us as we take you on a fast spin with great food and awesome cocktails.